Only “boots on the ground” will secure Vietnam’s national interests in the South China Sea. 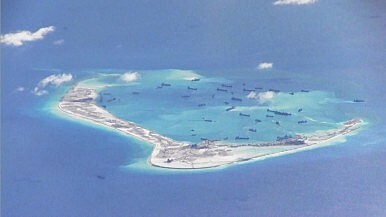 International attention has once again closed in on the South China Sea over claims that China has deployed HQ-9 surface-to-air missile batteries to Woody Island. Reports suggest that U.S. intelligence sources have confirmed the presence of these mobile batteries, whereas satellite images of Woody Island earlier this month showed no such batteries. China’s Foreign Minister, Wang Yi, has downplayed concerns over these claims by suggesting that China only has limited self-defense capabilities on some of its islands. Also, late last year Chinese President Xi Jinping reassured the international community that China did not intend to militarize its islands in the South China Sea. These statements, of course, do not reassure China’s neighbors. The fourth-generation of HQ-9 mobile missile batteries are reported to have a range of over 125 kilometers. This would complicate military aviation operations by claimant states and other nations operating in the region, such as the United States or Australia. What this means is that Chinese forces now have an increased stand-off capability, potentially giving them the capability edge in maneuverability and intelligence gathering, further solidifying their position on Woody Island. It would not be unreasonable to infer that similar installations will soon appear across other Chinese-occupied islands in the South China Sea. New missile systems in the region are not just unique to China. Vietnam has also continuously upgraded its own defensive missile systems, procuring two batteries of the Russian-made K-300P Bastion coastal missile system in 2011 and a further two batteries of the S-300 PMU-2 long-range surface-to-air missile systems in 2012. In 2014, Vietnam upgraded both its short-range surface-to-air missile systems, as well as its coastal missile systems. Also, the Vietnamese military has been undergoing efforts to boost its coastal surveillance radar systems since 2013, and the country even successfully built its first unmanned aerial vehicle in 2013. The problem with the existing framework of Vietnam’s missile batteries and surveillance system is not in its range or lethality. Indeed, the mere presence of these weapons provides a considerable layer of defense that any force must overcome if it were to attack Vietnam. The issue is that these systems are based on the mainland with a view to territorial defense and Vietnam has not demonstrated the capability to deploy them across the region. If a conflict were to erupt in the South China Sea, Hanoi would soon find that its military installations in the South China Sea would be left vulnerable to attack and at risk of inadequate resupply. As Ngo Minh Tri and Koh Swee Lean Collin have suggested, limited sea control capability was fundamental to the Chinese victory in the Battle of the Paracel Islands in 1974. Every attempt must be made to learn from Saigon’s mishap and plan to avoid a similar defeat if conflict were to erupt. Having territory is one thing, but holding onto it remains another challenge altogether. As I have mentioned previously, the Vietnamese military has been undergoing significant efforts to modernize its forces, including new submarines, frigates, and fighter aircraft. But without the capacity for strategic sealift, any ground force would be fighting with one arm tied behind their back and left vulnerable to being routed in battle, as was seen in 1974. Currently the main amphibious elements of the VPA consists of ageing Soviet-era and ex-U.S. landing craft in various states of repair and in spite of recent efforts by national ship builders to produce indigenous-designed landing craft. Nam Nguyen is a graduate of the University of New South Wales and the Australian Defence Force Academy. He is currently a warfare officer in the Royal Australian Navy and has publishes regularly on military and strategic affairs. He is an MPhil candidate at UNSW and the views expressed in this article are his own.